Полный, неадаптированный текст произведения. 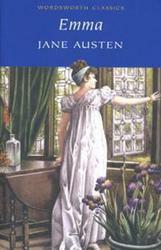 Jane Austen teased readers with the idea of a 'heroine whom no one but myself will much like', but Emma is irresistible. 'Handsome, clever, and rich', Emma is also an 'imaginist', 'on fire with speculation and foresight'. She sees the signs of romance all around her, but thinks she will never be married. Her matchmaking maps out relationships that Jane Austen ironically tweaks into a clearer perspective. Judgement and imagination are matched in games the reader too can enjoy, and the end is a triumph of understanding.